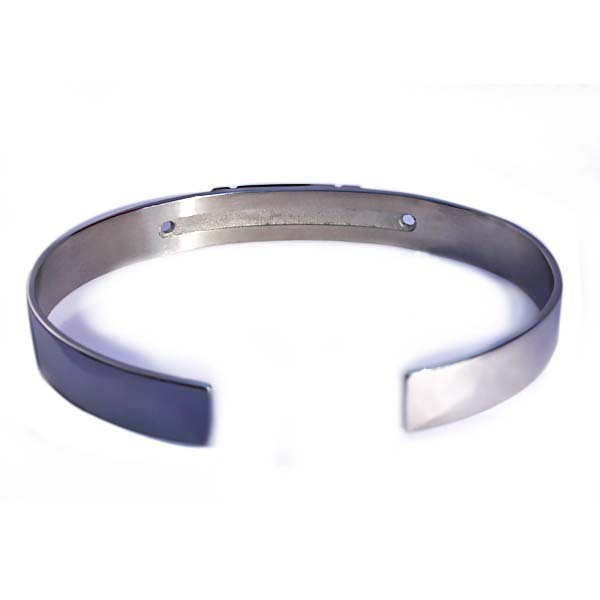 High grade Stainless Steel, 316L, also called surgical steel. Shiny – mirror polish finish. Perfect Sacred Geometry proportions, designed to be accurate to the millimeter. Thickness: 3.5 mm at the design portion and 2 mm around. 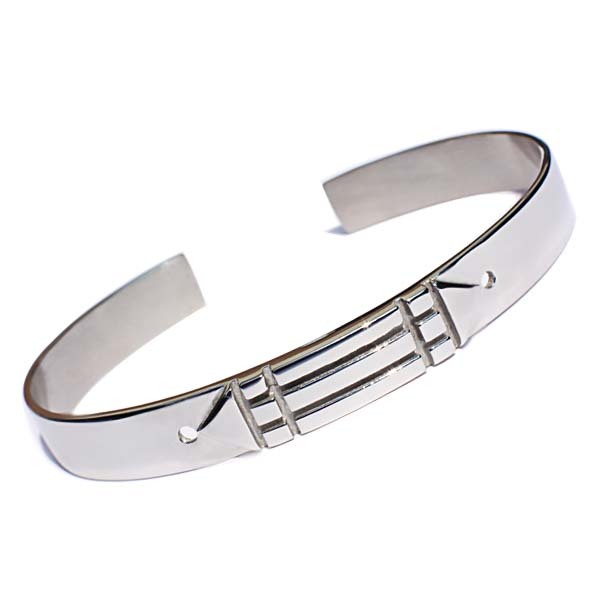 Unisex, this cuff bracelet looks amazing on both men and women. 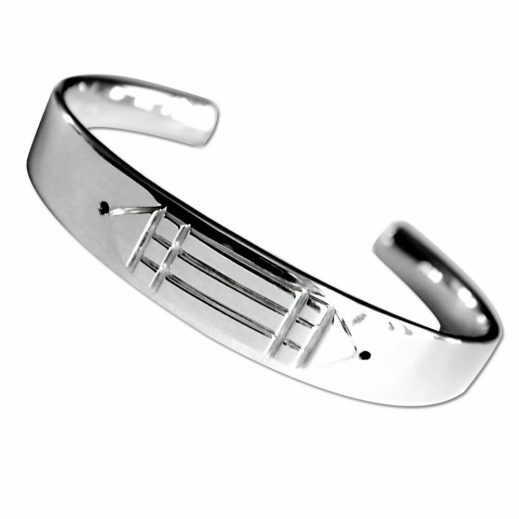 The Atlantis bracelet is based on the famous Atlantis ring. 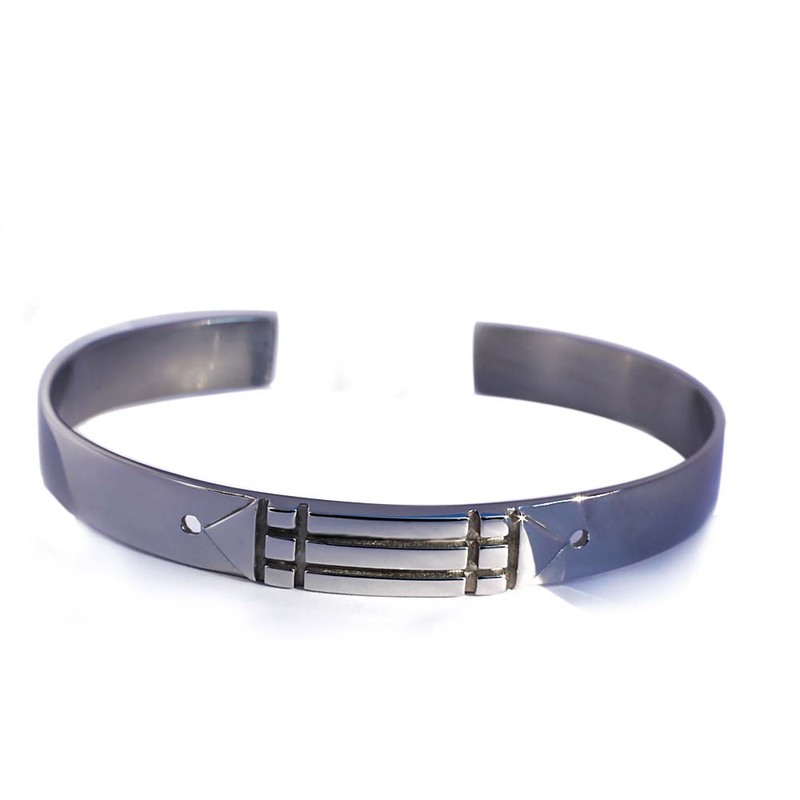 It has the perfect resonance with the Atlantis ring energy and the powerful energies of Sacred Geometry and the golden ratio.